I would like to show product attributes as individual columns instead of all attributes within one cell. WooCommerce Store product attribute as Taxonomy. and you know that in our plugin, you able to show Taxonomy as individual column. So you able to do it. what will be taxonomy , you able to find it easily. For any new question about this topic, Please write your comment, We will try to solve it via comment. Write your comment, if you have any question. There are some common issues that the beginner face in WordPress. “404 Error” is one of them. But, don’t be scared. Like every issue and bug, this problem is also easy to resolve. There are many reasons that’s why “404 error” shows in your site. Like- May be you typed a url that doesn’t existed or changed or maybe your Permalink has been changed. Now let’s see how to solve the issue. 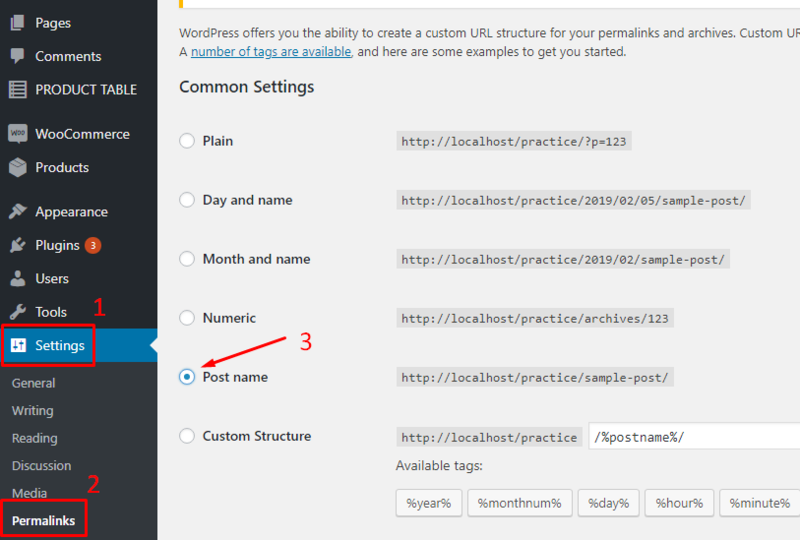 Go to your WordPress Dashboard and click on Settings->Permalinks. From the Common Settings select Post Name. This will update your permalink settings which works for most of the 404 error. In case this doesn’t works, you can follow the second method. If first solution doesn’t work, try to update your .htaccess file. Login to your CPanel and connect to your WordPress root directory. Where you will find a file named .hcaccess. Download this file. Check if there has the following lines of code. Add the code if not exist. 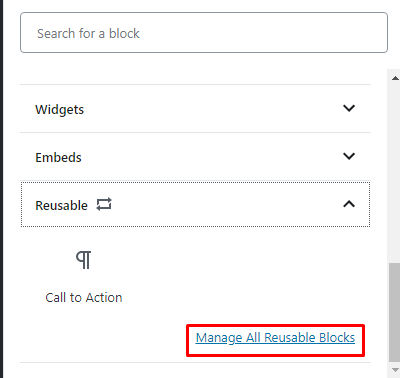 Do you know that the new blocks from Gutenberg is reusable? Yes, you can reuse the blocks in the updated version of WordPress. Today I’m going to show you how to reuse the Gutenberg blocks. So, from the last WordPress update you can see that Gutenberg block editor is set as default editor. With the changes of time this block editor has added some advanced feature. Now you can use your blocks later on your site or another site. What is reusable Gutenberg Blocks? You can Import and Export your Gutenberg Blocks easily. This reusable Gutenberg blocks lessen the time to reuse a special section of your site frequently. The Gutenberg blocks can be used for a call-to-action in any place of your blog post, testimonial, widget area, feedback, header, footer etc. Now lets see how to import and export Gutenberg blocks. If you want to use a block later on WordPress, then save the blocks giving a unique name. For this, when working on a blocks click on the three dot icon above your block (see the screenshot below). There will be a window from which click on Add to Reusable Blocks. Now, input the block name in text field and save the changes. So, your block is now saved as reusable which you can use as a template later. To export a block click on the (+) sign of your blocks left to your page. From there click on Reusable. Now, a window will appear, from where you can search blocks or click on Manage All Reusable Blocks button. You can see all the blocks you have saved before. Click on the block which one you want to Export. Hovering mouse on the blocks you can see the Edit, Trash and Export as JSON option. Click on Export as JSON to export the blocks. From your downloaded folder see the JSON file. To Import blocks from your HDD navigate to block section (see the first two images of Step 2). Then click on Import from JSON button. A small window will appear from where click on Choose File Button. Now, choose the file from your HDD location. 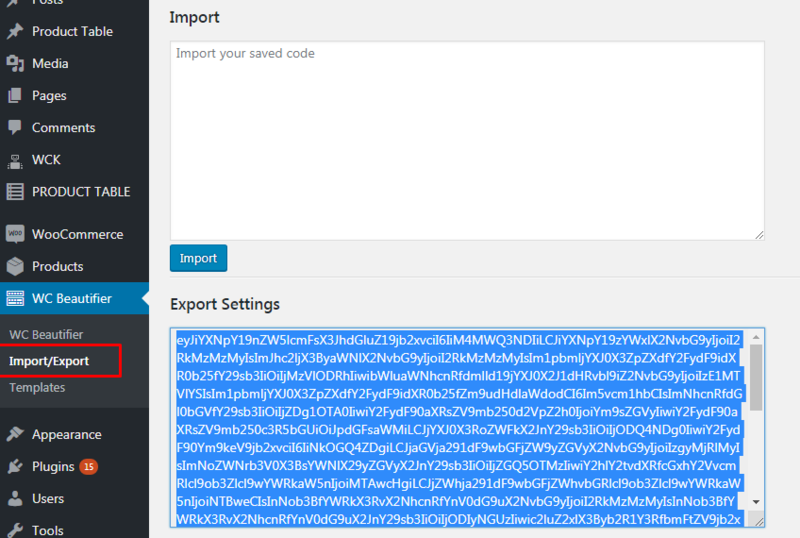 Finally, click on Import Button to import your block file. And finally you have successfully imported block to your site. Using this technique you can Import and Export Gutenberg Blocks to another site or reuse the blocks later on your same site. You can also see my previous article on Disabling Gutenberg Editor and Replace Gutenberg Editor with Classic Editor. Do you want to increase visitors on your WordPress site? There are many ways to do that. One of them is to add a social media icons to WordPress site. It’s easiest and most important way to increase visitor on your site. In this article I’ve used Social Media Share Buttons & Social Sharing Icons to create the social media icons. Let’s see how does it work. First of all, install Social Media Share Buttons & Social Sharing Icons from WordPress plugins archive. You may go through how to Install a WordPress plugin. Please configure the plugin following the sub-steps below. After activating the plugin, head over to Dashboard of your site. Then, from the left panel click on Ultimate Social Media Icons. Then, there will be several settings to configure. Click on the first item saying ‘Which icons do you want to show on your site?’. From there choose the social media icons that you want to show in your site. Now click on second question from the same page as shown in the picture below. There will be several checkbox from which choose the action you want. For instance, tick the third checkbox from Facebook option if you want to share your your blog with Facebook Friends. Then from the third option choose your desired position. There are many ways to choose position. 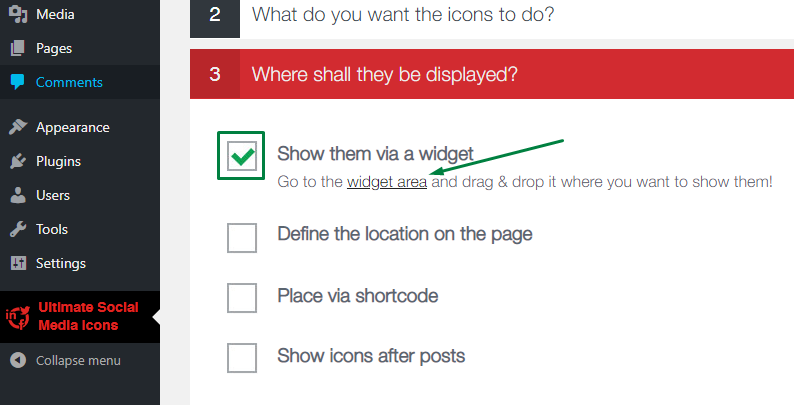 You can show the share icon through widget area, define the location on the page, place it via shortcode or show icons after post. Choose your best one. Here I’ve marked widget, so I need to select to widget area. At last, publish the post. You are done. See how does it look in the left sidebar. You may like to read how to Add Click To Tweet Button on WordPress and The top 9 Social Media Plugins of WordPress. I hope you have got how to add Social Media Icons to WordPress site. If you have any question, let me know that in comment section. Are you fed up with the default add to cart button on your site? If yes, then follow this article. In this step by step article I’m going to show you how to change the woocommerce add to cart text. If you need another label than replace ‘Buy’ with your selected one. You may need to change the add to cart button label for archive products. To change the button label for archive products simply add these line below in your functions.php file in your themes directory. If you want to use any other label then change the word ‘Buy Now’ to your preferred one. 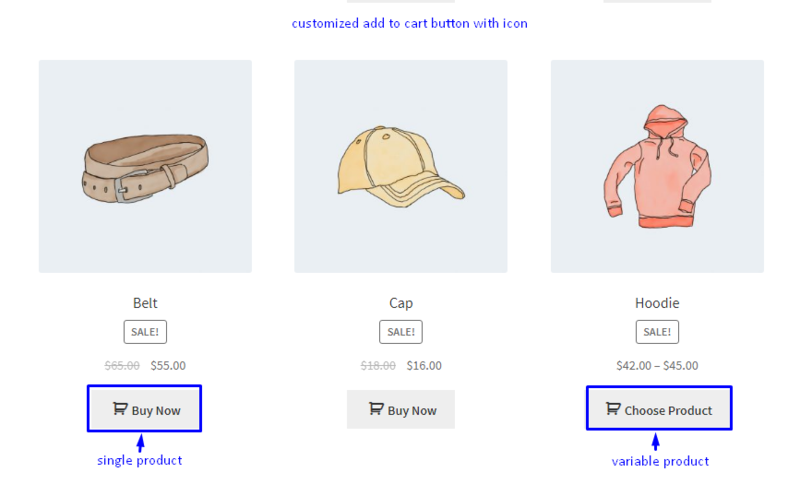 You can change add to cart button for variable product for variable product. Just use the code below. If you are not familiar with coding you can do all the stuff with plugin. There are couple of plugins to do this. 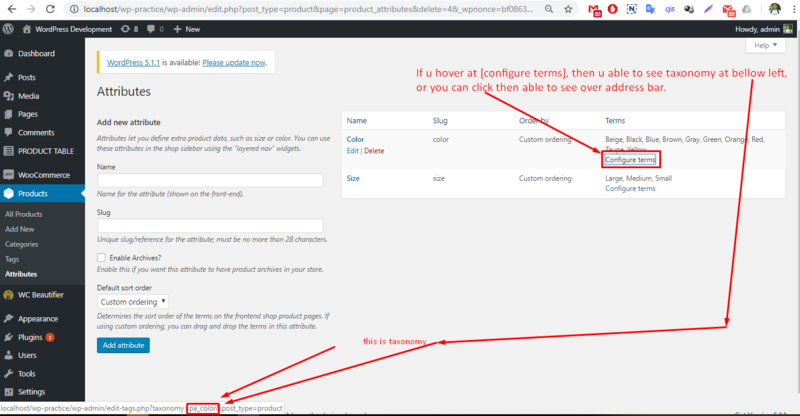 Among them I recommend you using WooCommerce add to cart Text change plugin. 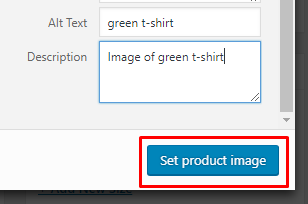 With this plugin you can change your default WooCommerce text on various page like shop page, archive page and product page. There is a advantage that you can use only cart icon on add to cart button. See how does it looks after changing the selected option. Related article: If you don’t know how to install a WordPress plugin please see Managing a WordPress Plugin. I hope you have got the point to Change the WooCommerce Add To Cart Text. If you have any related issue leave a comment below. Do you want to disable Gutenberg and keep the WordPress Classic Editor? Go through the step by step article. WordPress 5.0 has been released. In this update WordPress has used Gutenberg as their default editor. But some users like the old Classic editor. Though Gutenberg is mainly an advanced page builder, it needs some time to fit it completely with core WordPress. How to Disable Gutenberg and Keep the WordPress Classic Editor? Notice: If you don’t know how to install a WordPress Plugin, you can go through How to manage WordPress Plugin. How to Switch from Classic editor to Gutenberg? |Following the steps above you can switch to Gutenberg from Classic editor anytime. You can use Gutenberg while writing a Page/Post. To move to Gutenberg just move to to bottom of a page or post. At the right sidebar of a Page/Post you can see a section named Editor. From there click on Switch to Block Editor. This will switch your Classic editor to Gutenberg. At the same time you can back to Classic editor. This is all for now. You may also like to read how to replace Gutenberg with Classic editor. 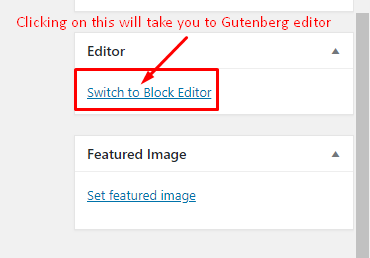 I hope you this will help you to Disable Gutenberg and Keep the WordPress Classic Editor. If you have any questions beyond this article, feel free to leave a comment below. Have you upgraded your WordPress to 5.0? If yes, then you may notice some changes in the upgraded version like in the editor section. Since Gutenberg is set as default editor in the latest version of WordPress, some are trying to back to classic editor. In this step by step guide I’m going to show you how to Replace Gutenberg With Classic Editor. Do you want to disable Gutenberg and back to Classic editor for your WordPress site? You can use classic editor in two ways. However, in this article I’m showing how to disable Gutenberg and use only Classic editor. In another article I’ll show how to use Classic editor along with Classic WordPress editor. 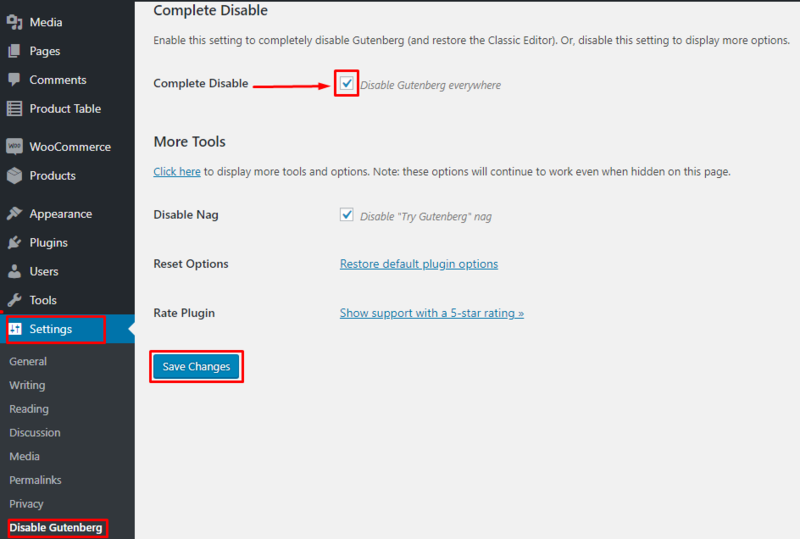 If you want to switch to Classic editor but keep the Gutenberg read disable Gutenberg and keep the WordPress Classic Editor. This is all for today. 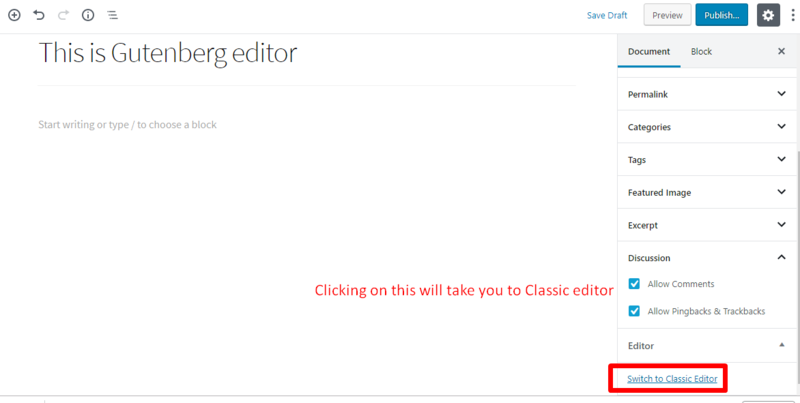 I hope you have got how to Replace Gutenberg With Classic Editor. If you have any issue around this leave a comment here. There are several plugin to clone your WordPress site. Some of them are paid and some are free to use. But most of the time beginner fall in trouble with the procedure of taking backup and restore WordPress site. Today I’ll show you how to clone a WordPress site in step by step. What is cloning? Why should you clone your site? If you are using WordPress for a long time then you may fall in trouble with your site. It may be hacked, infected by malware or any types of issue with your site. In that case your all valuable information may be lost. For this reason you should make a backup of your WordPress site to make it sure your site is secured to restore anytime. that is easy to use. Now let’s see how to clone your WordPress site. Why I’m using Wp Clone? First of all go to WordPress plugin’s directory and search for the keyword Wp Clone. To do so navigate to Dashboard->Plugin->Add New. A list of plugin will be available among them install and activate Wp Clone By Wp Academy. If you don’t know how to install a plugin you can see our previous tutorial about How to Manage a WordPress Plugin. Creating a backup is so easy that a beginner can easily manage this plugin. To create a backup just head over to Wp Clone from Dashboard. Also you may navigate to Dashboard->Wp Clone. 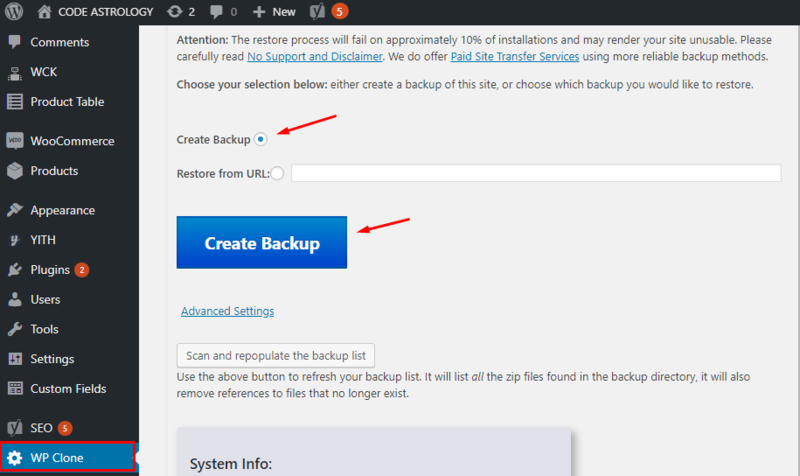 From the new page select the checkbox called Create Backup and click on Create Backup button. It will take some time upon your site size. If your site is large than you may take a custom backup. For example, if your site have some video file of about more than 1 GB then it may take a bit more time to create a backup. To reduce the backup size and required time just exclude those video files from backup. After a successful backup you will be redirected to a page that says Backup Successful! You can see a backup url that you can use to restore your site. You can Restore from backup in two ways. To restore backup from the zip file shown in the table just tick the checkbox called Restore Backup. Then select the checkbox field I AGREE and finally click on Restore Backup button. A popup message will appear asking restore permission. Allow the permission. Restoring the backup may take some time upon your backup size. After a successful restore page will reload automatically including a message Restore Successful! So this is the easiest way to clone a WordPress site. I hope you’ve gotten the procedure. If you found a more easy way to create backup and restore that please let us know so that we may update. Have any question? Leave a comment below. Managing a WordPress plugin is so easy but a beginner may face complication. In this step by step guide we will show how how to Install and Manage WordPress Plugin for beginners. If you are using WordPress for a long time then then you’ve come across the time that some plugins we use regularly and some are less necessary to keep it in site. Some becomes unused and there are other plugins that we shift in. So we need to deactivate and uninstall those unused plugin. You can Install a WordPress plugin in two ways. You may install the plugin from WordPress plugins page also you can directly install zip file of a plugin. Here in the search Search Plugin box type the plugin name you want to install. Some plugins related with that keyword will be shown. Install the preferred one and click on Activate button. 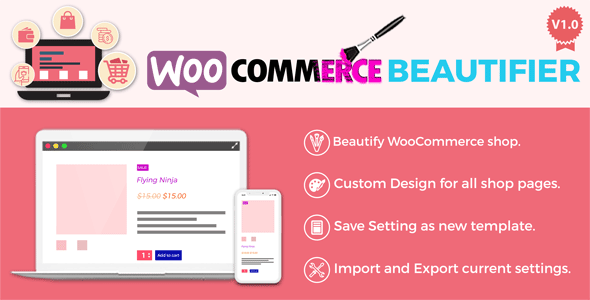 Here I’ve used Woo Product Table Plugin that are awesome to create WooCommerce Product Table. Here click on choose file and select the file from your storage. Click on Install Now after the file is selected . Then click on activate to activate the plugin. To uninstall a WordPress plugin first navigate to Dashboard->Plugin->Installed Plugin and from here click on the plugin to uninstall. Here we’ll deactivate Akismet Anti-Spam plugin. So simply click on deactivate. Remember deactivate won’t make uninstall your plugin. It only close down its activity/functionality on WordPress. You need to go one more step to delete that if you found that plugin inappropriate for your website. To delete the plugin from WordPress click on delete right to plugins activate option. Times come up when you need to delete all plugin or some plugin at once. Using the bulk action you can easily deactivate and delete all or some of your plugin as you want. Just go to plugins page from Dashboard. Navigate to Dashboard->Plugin->Installed Plugin. Here appear a list of your installed plugins. You can see a checkbox left to the plugins name. Tick the check boxes which you want to deactivate/delete. Then click on Bulk Actions drop-down menu. A list appear including Activate and Deactivate option. Select Deactivate and click on apply right to the drop-down menu. Thus you can Deactivate your selected plugins. If you wish to Delete those plugin select Delete from the drop-down menu and click apply. After deleting plugins sometimes there may additional file created outside the plugin folder. So it’ll be better to delete them from database. To delete from database simply go to your phpmyadmin. Before changing anything make sure you have backed up your database. Go to your database and tick the checkbox you want to delete the database relate with. And from below the table click on With selected text-box. A drop-down menu will appear there from which select Drop. A warning will be given from which choose Yes. Now your selected database table will be dropped and deleted. So managing a WordPress plugin is so easy, right? If you have a particular question about managing a plugin leave a comment bellow. I hope you have got how to install and manage WordPress plugin. If you like this article you may also like Must have free WordPress Plugin for your site. Have any question about managing a plugin? leave a comment below. If you’re using WordPress for a long time then you may come across the term named The White Screen Of Death (WSOD). This is a one of the worst error that a beginner falls in and get in deep trouble. Following some steps this error can be fixed. Today we’ll go through the possible ways to Fix White Screen Of Death error in WordPress. First let’s have a look why this problem occur. The WSOD can cause for some couple of reason. Probable reasons are listed below. In five steps we’ll try to Fix White Screen Of Death issue. Most of the time we use a shared hosting server that are given a lower memory to function properly a for a wide range of plugins or themes. Then the exhausted memory causes this problem. To resolve this problem you need to increase the memory. Locate your wp-config.php file using your FTP manager and edit this file. Add the code given below to the file. If this doesn’t resolve the problem you can increase memory limit through .htaccess file that are in your sites root directory. Simply add the following line in your .htaccess file. If you have issue with poor memory hope this’ll Fix White Screen Of Death issue. Sometimes this problem may cause for incompatibility of themes or plugins. To find the culprits you’ve to do the followings. First of all deactivate all your themes installed in WordPress and refresh the page where the problem occur. See whether the problems fixes or not. If it is ok then the problem lies in your themes. To find the individual one causing problem activate your theme one by one. After activating the theme if the White Screen Of Death occurs again then the theme is responsible for causing the error. After you find the accused theme for the error you can contact with it’s developer to solve this issue. Same problem may lies in for a specific plugin. Solve for this issue is same as for theme. Follow those steps to find the theme responsible for the error. If you use a poorly coded themes or plugin that may also cause the The White Screen Of Death may occurs. When there is a character less or more than it demands then the error occurs. If the error is relate to wp-config.php or functions.php then find the associated file by FTP manager and look into that if there is a blank line before opening or after closing a php tag. Delete those blank line and saving the file reload the page. Hope this will fix the issue if it relates with Syntax Error. We know that this is one of the most confusing errors of WordPress. But we hope that one of the solutions above will help you to Fix White Screen Of Death Of WordPress error. If you find this article useful that stay tuning with Code Astrology blog. Sometime we face problems in our WordPress site. Today i’ll discuss three common error of WordPress and possible ways to fix them. Most of the time a beginner face the syntax error. It’s a common problem in WordPress. Most of the time the problem caused in php file. When there is a missing syntax like semicolon, colon,underscore or any types of syntax that are used in php we get a error message on browser. If you face the same problem don’t be panicked. It’s easy to solve . There is a syntax/parse error in my twentyseventeen theme’s functions.php file on line 376. So we’ll locate functions.php file find the problem and fix it. Here in the function.php’s 376 number line there is an additional comma(,) that is causing the error. Just remove the comma(,) and save the file. Then reload the page. And it works fine. Most of the time this error is caused for your permalinks structure. If the problem caused in permalinks then simply navigate to Dashboard->Settings->Permalinks. 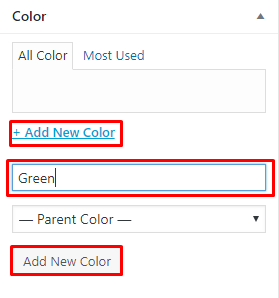 Set the permalinks type to Post name as shown below and save changes. Sometimes this problem is caused for .Htaccess file in your theme. Modifying that file may solve the problem. Make your .Htaccess file like shown below. Note: Here tests_site is my site directory on localhost. Use your own. Sometime we face this error that say Connection Timed out. This may cause for exceeding maximum execution time but no response from server. May be you are using a shared bandwidth that are slowing down your server. In that case upgrade your hosting plan. Sometimes it may caused for a plugin. To solve this deactivate your plugin one by one and detect where it lies in. Increasing your php memory may solve the issue. Just go to wp-config.php file and add the line below. To get more tips and tricks like this stay with Code Astrology.